Our popular event is back this month. 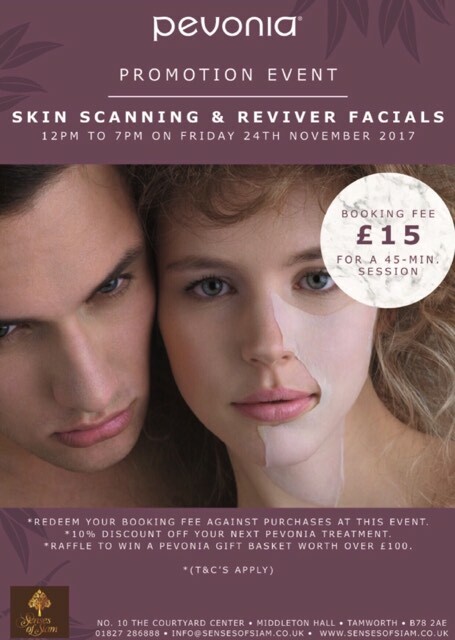 Pevonia Skin Scanning & Reviver Facial event on Friday 24th November. Only 20 places available for this event so book now to avoid disappointment.